Especially like the spiral binding - easy open and close! Giving six copies as Christmas gifts! I have found that this makes a great gift for a bridal shower, by combining with an address book or even a Christmas list book. Not extacly what I thought. Yet works great n easy to see. 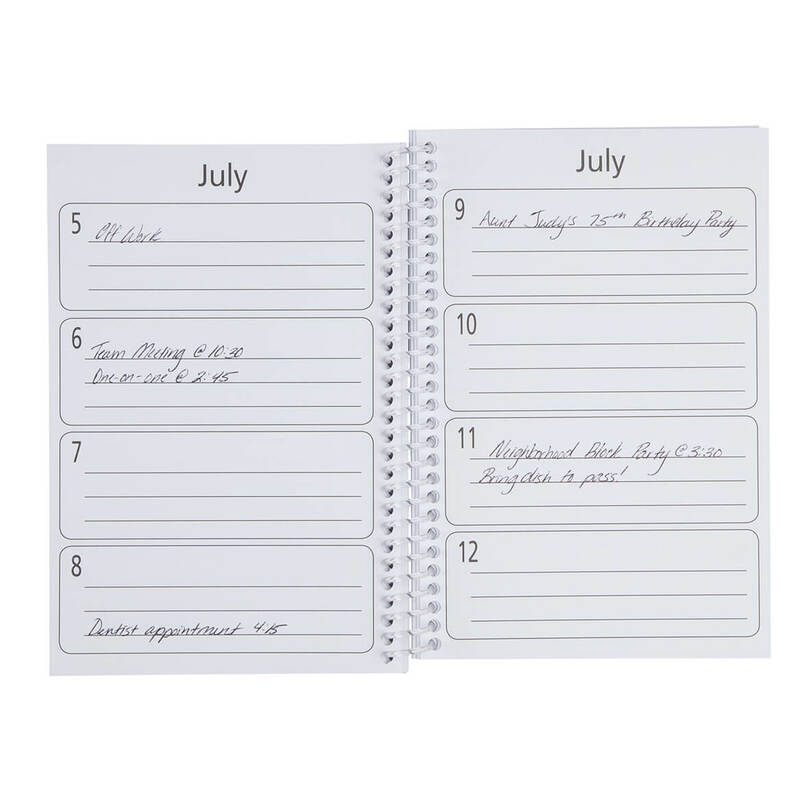 I wanted a birthday organizer that would be easy to understand, read, and access by the individual that I care for. 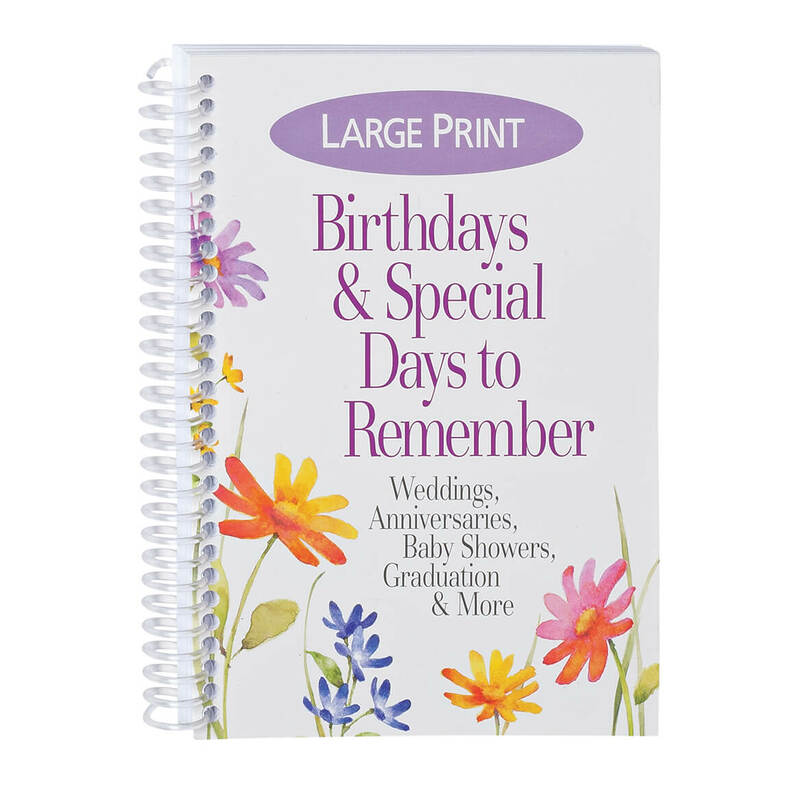 Dementia can easily limit one's understanding of everyday rituals but having a simple, colorful,and large print birthday organizer allows more independence. Something as simple as a birthday organizer can and I'm sure provide great joy knowing that birthdays and anniversaries will be remembered. Same reason for this as the address book, but the old one was coming apart & I decided to get a new one & I like it. I bought a mess of cards from here, but I end up forgetting who to send cards to, so I'll fill up this folder with proper cards and boom I'll know who & when to send a card to. A location for Birthdays to remember and I have a Lot to remember and for the convience. It will be wonderful to have birthdays and anniversaries and other important dates all in one place. My mom has dementia and cant remember birthdays or special days and the large print is a plus. My old one is falling apart and would like to replace it. I would like to see the inside where you write the persons name for their birthday/anniversary?